A great phone that i will never forget !!! It's a little part of my life !!! Thanks a lot !!! this spacefone is the new dyson and even ronaldinhio has got one. WHY DONT THE GIRLS LIKE, HELP ME OUT? the next phone im buying is the 3310, as samsung has given me enough in my life. this is THE mobile phone. does this phone have a USB? dam good phone and very popular for its day. was known to my mates as " the phone that looked like a wasing machine" but hey it was the coolest phone on the planet back then. i loved this phone very much and Samsung to me have only gone from strength to strength after this little gem. well done samsung! 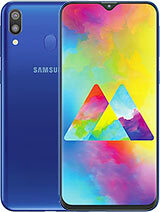 can i change the body of this phone. Ive bought this fone when it first came out...($800AUD)! the design of it caught me coz at the time flips were not the standard fones. The dual screen was amazing and it was so compact and cute. but i have to admit the battery kinda sucked from day1...the slim batt lasted me at the most 2days. however it was the first fone despite being monocoloured, to have not such a pixelated screen. there were grades of darkness and the backlight was perfect, it didint hurt my eyes at all when msging in the dark. i dont regret getting this fone coz it was simply funki and fresh. y would u buy this phone now?it was released years ago and ther is much better available now! Samsung A300 is what I call an 'ok' phone its a good size a good weight andof course its a flip phone! I have always wanted a flip phone but didn't want to have to pay a large amount of money for one. So this was obviously my ideal phone. Its only faults are that it doesn't have any games, it is not a colour phone, and I find the font to large for my liking. 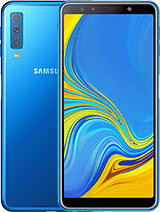 On a scale of 1/10 I would rate the Samsung A300, 6/10. to my opinuon this phone is not good, i bought it and after charging it for six hours and start using, it lasted for one week and stopped working. when i put on charger it only blink and could not be charge any more. Superb phone, very nice and compact, love the led especially the way it changes from green to red when you have a missed event like a text message.Classic! Compact and had all that i needed at the time. Very annoying that if you pause and say talk to someone or get distracted whilst writing a text, it disappears! Doesn't even go into outbox.Other than that its fine. Flashing light when you have a text or missed call is a big plus point! I like the phone, it simple and it ok and that's what am using. And for those that complain of Games and Ring tones, whatever. I guess they need a game boy or a stereo tape for games and sounds. Be mature, make calls, and LOVE SAMSUNG phones. This is a really rubish phone...honestly! 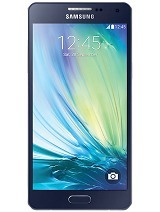 I LLLLLOOOOOOOOOVVVVVVVEEEEEEEEE this phone it is so stylish and sheek i don't know how i would live without it!